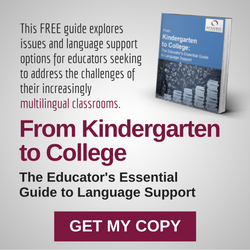 As the US population becomes increasingly diverse, institutions and students alike need a range of multilingual resources to get the best results. Dynamic Language specializes in translation and interpretation services for education when the performance of schools and pupils are both on the line. We cater for educational institutions at every level with the same ISO-certified quality to offer cost-effective services to everyone who needs them. We believe language should never be a disadvantage to anyone in education, especially in multilingual communities, where clear understanding is for the benefit of everyone. We provide school-to-family communication, including translated flyers and notices; progress reports and notes from teachers – as well as on-site interpretation for parent conferences, student evaluations, school events and other meetings. All of these services come with the strictest of confidentiality so you can rest assured private information about educational institutions and pupils stays private. Our clients understand that they can rely on us to help ease the language barrier in education – a sector where the finest detail can change lives forever. The Dynamic translation process uses industry experts, allowing us to meet tighter deadlines without a compromise for quality. So no matter how large your project, or how soon you need it completed, get in touch with our team today. Or to see what else we can do for you, take a look at our other language services. We have found Dynamic Language to be professional, friendly, and timely in returning our products. We continually use their services and they have worked with us to create a seamless process. I would gladly recommend them to others. My Dynamic Language project manager had lightning-fast responses, was polite, and asked relevant questions about the project. As for the connection between the translator and me, she made the entire process, from file sharing to final delivery, seamless.